The image was obtained using a Canon D60 6-megapixel digital camera set at ISO 800 with a 24 mm f/2.8 lens on a stationary tripod in South Park, Colorado where it was 18 degrees F. A series of 30 second exposures were done throughout the night. This image is a composite of the meteors from 35 frames from 3:16 to 4:54 AM MST. 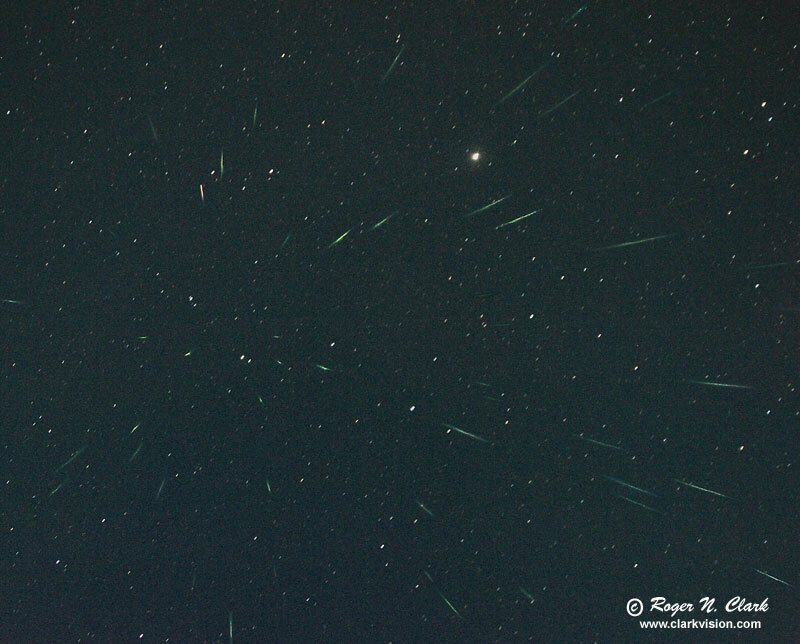 The uncropped image shows 57 meteors, and this slightly cropped version a few less. Please visit my Extensive Articles on Photography .